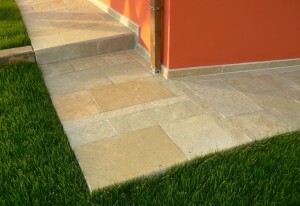 Asian Stones is one of the leading suppliers and exporters of Indian Limestone tile. We supply limestone tiles in diverse range of sizes, thickness, finish and quantities to cater to a vast clientele. We process more than 5 colors in Indian Limestone. 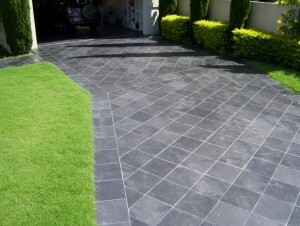 The Limestone is generally used/applied for Paving, Flooring, Roofing, Walling and Pool Coping projects. Apart from these applications, the limestone is used in various large scale landscaping, carving, architectural and restoration projects. Natural, Honed , Cleft, Polished, Antique, Brushed, Sand blasted, Shot blasted, Bull nosed, Rebated, Rock faced and Bush hammered finish, Half Honed. The bottom can be Natural, Calibrated (Gauged) or Sawn. The sides can be natural, hand chiseled, machine cut sawn and tumbled. Want to enquire about our products? We are available 24x7 and you will surely get a revert from us within 24 hours. You can also online chat with our team when you are on the website to get an immediate response to any of your query.